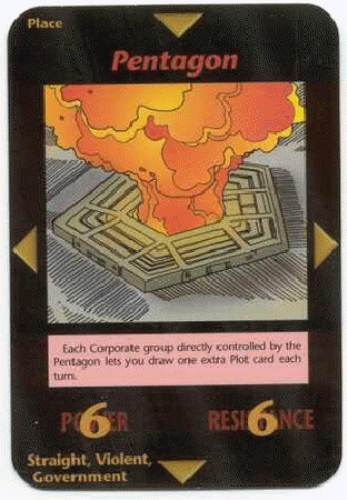 The Illuminati Card Game is a playing card game by Steve Jackson Games. 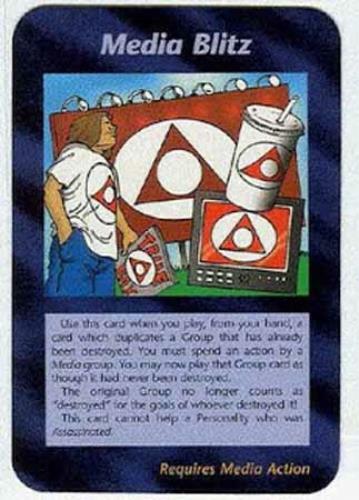 The object of the game is to control the world via competing secret societies by sinister means - sort of like an evil Monopoly. 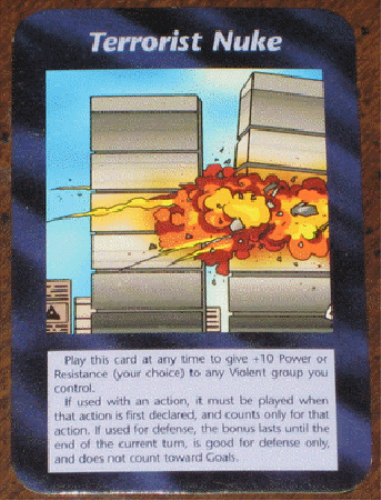 The interesting part is that the game contains cards depicting a terrorist attracts on the Twin Towers and Pentagon eerily reminiscent of the 9/11 attacks. More intriguing is the game was published in 1982, almost twenty years prior. 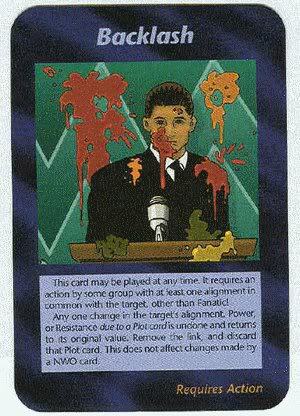 Also in Illuminati Puppet fashion the "Media Blitz" card shows as we are seeing now, a media blitz of Illuminati Propaganda (see above). The game was made by Stave Jackson a graduate of the prestigious and pricey Rice University in Houston, TX. In 1990 The US Secret Service raided Steve Jackson Games under the accusation one of his developers was hacking. Suspicious indeed considering his card games. Steve Jackson declined a request for an interview. All this could be coincidence. We are just simply crazy conspiracy theorists, right?